Printing emails is not something you have to do once in a lifetime. Often you need to print your emails either from the device you are reading it on or in some cases move it to some other device and get it printed. You might have found this quite difficult as converting emails to XPS format is not always an option. But Coolutils understands how archive emails and attachments to XPS functionality can be a great help to email users and has introduced a wonderful solution - Total WebMail Converter Pro. The working of Total WebMail Converter Pro is also very simple and smooth. You can archive, export and save exchange emails as XPS and do a lot more with just a click. Batch processing. The batch processing capabilities also help you to work with huge amounts of emails at the same time. Each mail can be exchanged to a single XPS file or you can also combine several emails into a single multipage XPS file. Customization. You are also given the liberty to set the page size, orientation, page counters, page fitting and a lot more formatting options on the resulting XPS files. Watermarking is another great feature that lets you add company logos, images, legal stamps and bates numbers to your XPS emails. And you can do all of these operations via an interactive GUI or choose a command line mode. Licensing. You are also provided options to choose from any type of licensing. Whatever be the licensing, be it commercial, site, life-time, server or OEM - Total WebMail Converter Pro covers it all. 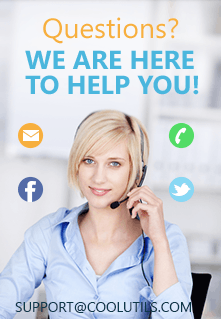 Technical support.The good things about Total WebMail Converter Pro never go out. The program comes with freebies like free technical support and free major upgrades for a year with absolutely no hidden fees. Total WebMail Converter Pro is an ultimate solution for any type of email conversions and especially for exchange to XPS with attachments. 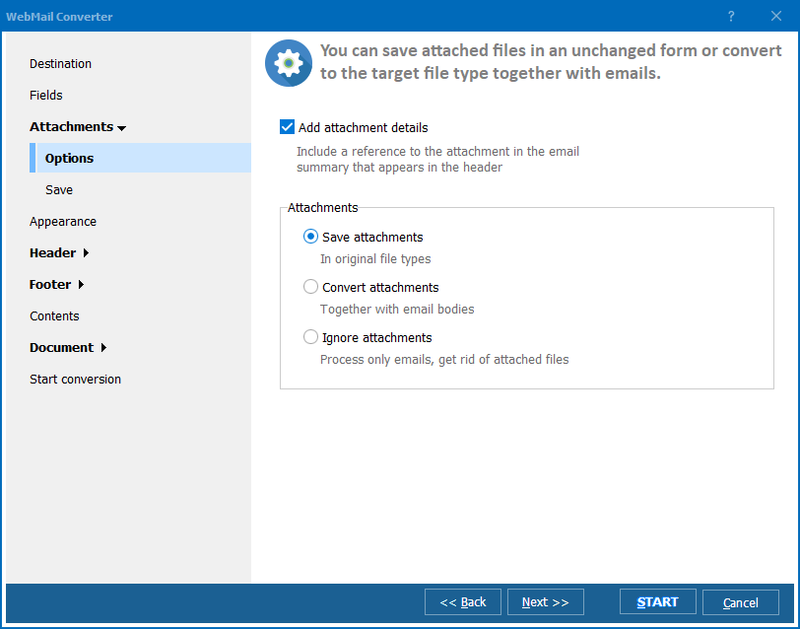 The "with attachments" part is a great deal not present in various other services but works flawlessly in Total WebMail Converter Pro. The software allows you to keep your attachments embedded in the XPS file or you can have them as clickable links. 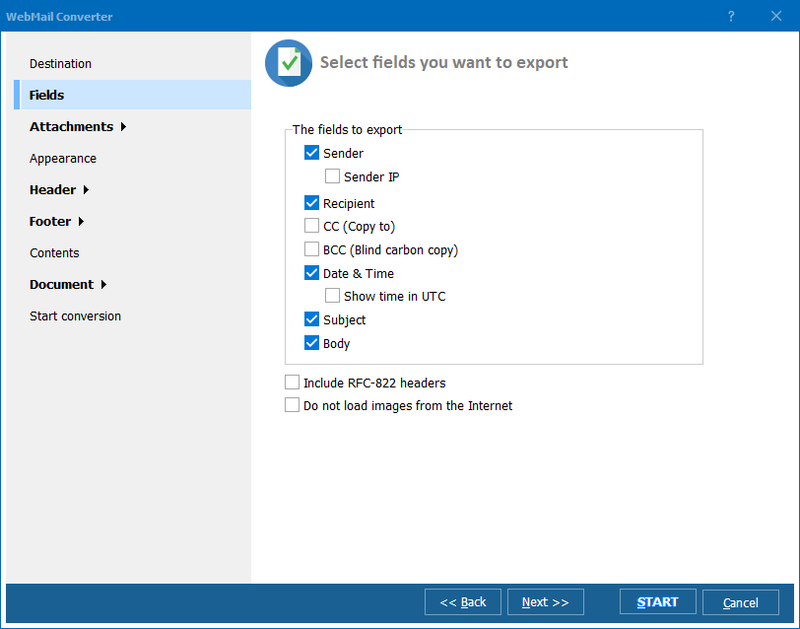 Easily export exchange emails to XPS on the go! 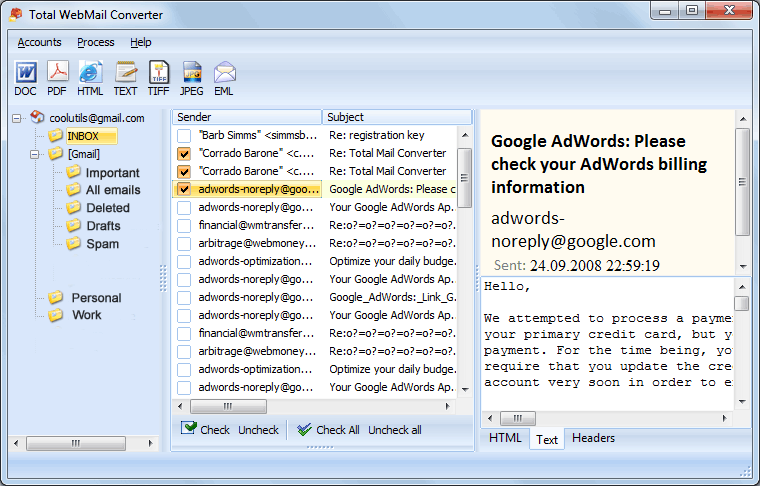 Just download the 30-day free trial version of the program to try Total WebMail Converter Pro on your own!